A fearful elementary school student from Athens, Ga., brought a knife to school to protect herself, after hearing stories about clowns jumping out of the woods and attacking children. Reports of clowns frightening children spread across southern U.S.
Police say a fearful 11-year-old Georgia girl who took a knife to school told officers she needed the weapon to fend off clowns. The girl was arrested Friday at Burney-Harris-Lyons Middle School in Athens according to The Athens Banner-Herald amid reports and social media posts about clowns frightening children in Georgia and other states. According to a local police report, the girl said she needed the knife to protect her and her family because she had heard stories of clowns jumping out of the woods and attacking children. 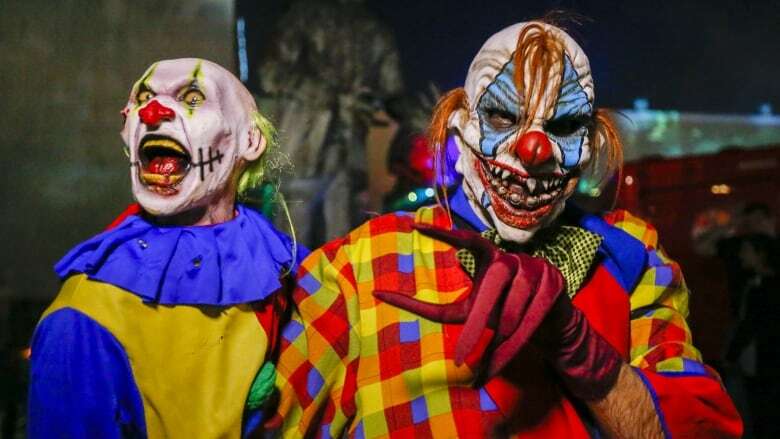 Earlier this month residents in northeastern South Carolina told authorities they have spotted people dressed as menacing or unusual clowns on at least eight occasions, Reuters reported. However, investigators were unable to confirm any of those sightings due to varying descriptions. In the town of Greenville, clowns were reportedly seen on the side of a road, outside a laundromat and in a residential backyard. Clowns have also been allegedly luring children into the woods with cash. South Carolina law prohibits anyone over age 18 from dressing up as a clown. Law enforcement officials are warning that people involved in clown hoaxes could be prosecuted.